Sharing a very yummy Chatpati Chaat recipe innovated by me. 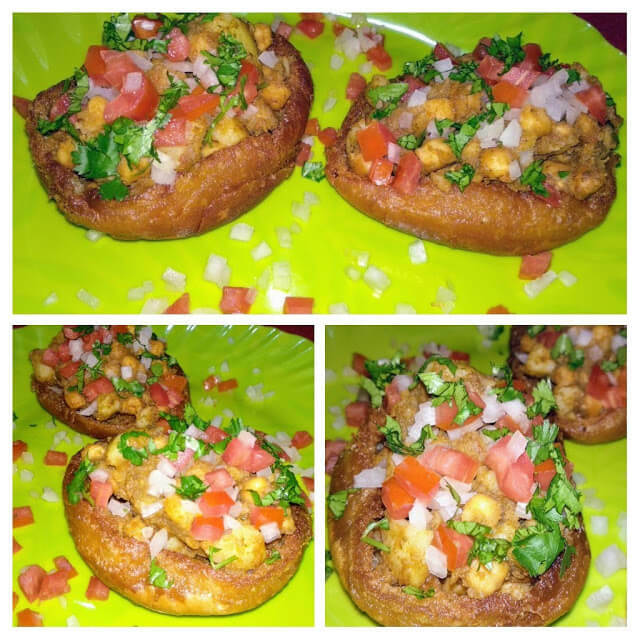 I have made basket from bun and filled it with Chaat made from Aloo and Chole, topped with onions,tomatoes and green coriander leaves. Looks awesome and tastes great. Do try it and enjoy the taste. Recipe : Soak white chickpea overnight in water. 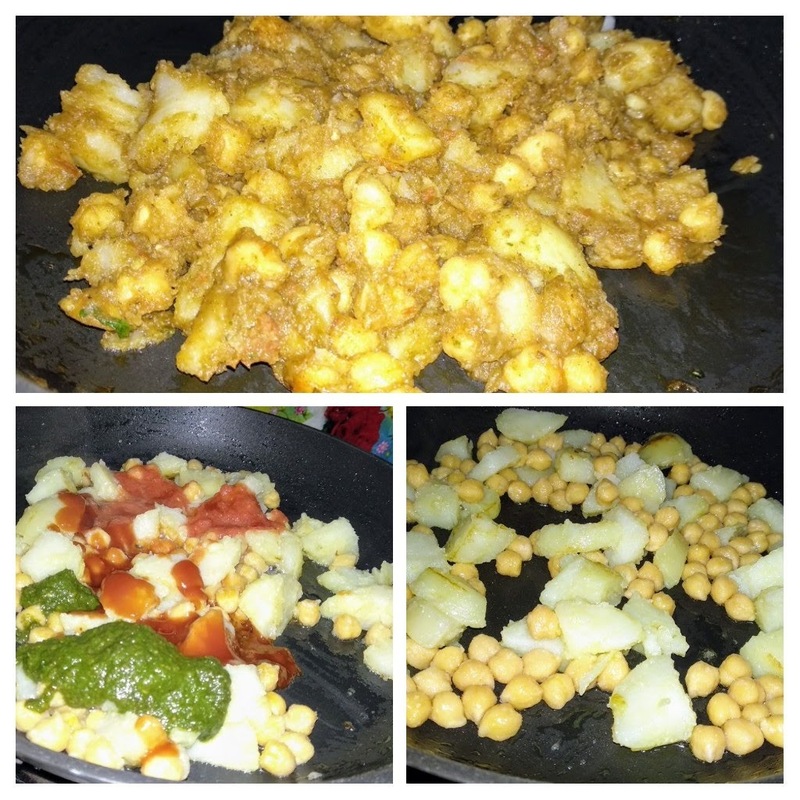 In the morning, cook the white chick pea with 2 potatoes for 1 whistle with 1/2 tea spoon salt. Let it cool. Peel the skin of potatoes and cut into small cubes. Chop the onions finely. Remove the pulp of tomato and chop it finely too. Heat 1 tbsp refine oil in a non-stick pan. Add cumin seeds. When they crackle, add the potatoes, white chickpea and cook them for 2-3 minutes. 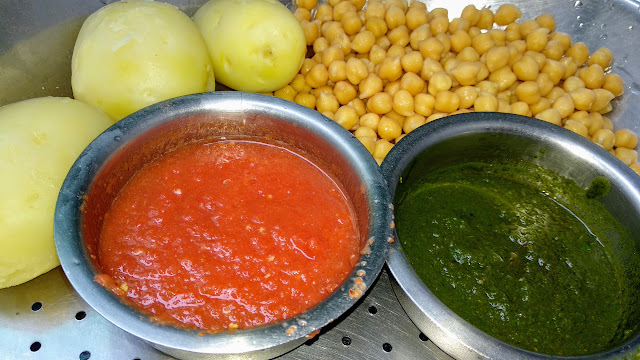 Add all the chutney, mint powder and salt to taste and cook till the water of chutneys evaporate and mixture leaves the edges of pan. 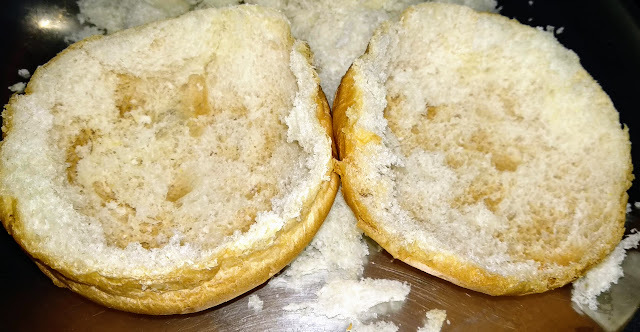 Now cut the bun from center vertically in two portions, like burger. Take the circular portion, and remove the stuff from center with a sharp knife carefully to give it a bowl shape. Heat refined oil in a pan and deep fry the bowls on a medium flame till golden crispy. Keep it on a tissue or newspaper so that extra oil is absorbed by the paper. You can use microwave or air fryer if you want it totally healthy. The portion removed can be used for making tikki and the lower portion of bun can be used in breakfast, or you can make bread crumbs also. Now place these bowls in a plate. Fill the potato Chole mixture in them. Sprinkle some Chaat Masala over it. 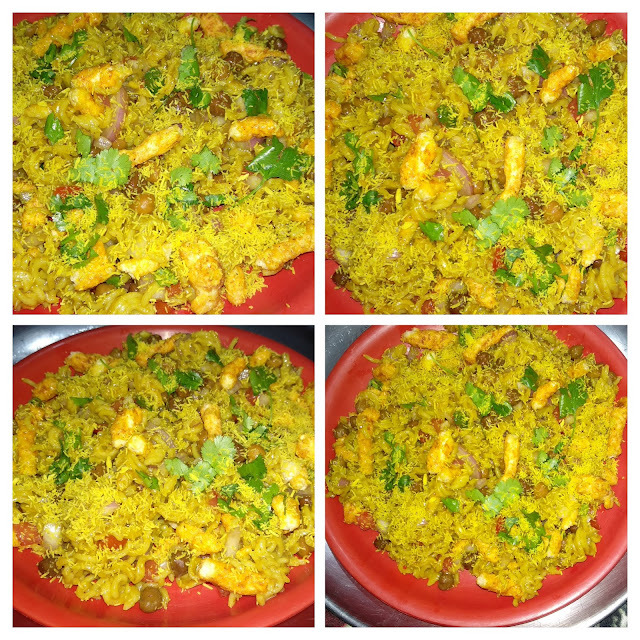 Garnish with chopped onions, tomatoes and green Coriander leaves and serve immediately. 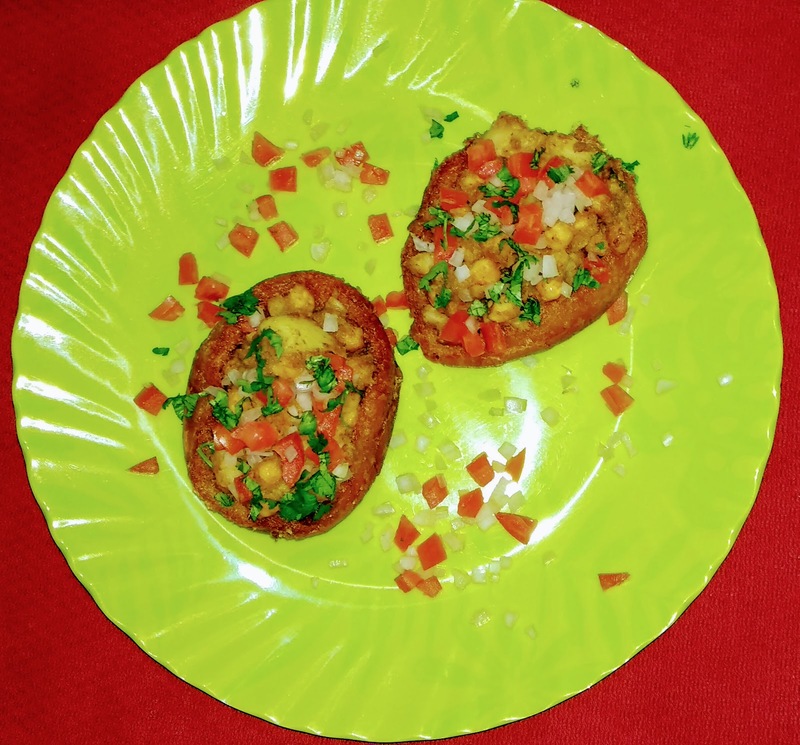 Beautiful and mouth watering Chatpati Chaat is ready.